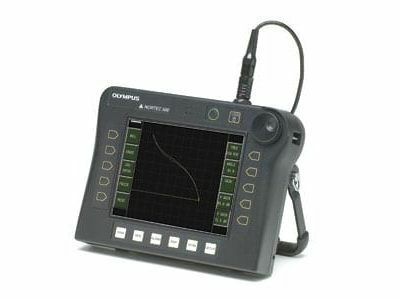 The Olympus MultiScan MS5800 is a versatile, multi-technology pipe inspection system that provides application-specific scans. and Magnetic Flux Leakage (MFL). Eddy current testing is a non-contact method of inspecting non-ferromagnetic tubing and can detect metal defects such as corrosion, erosion, pitting, wear, wall loss, baffle cuts, and cracks in the material. 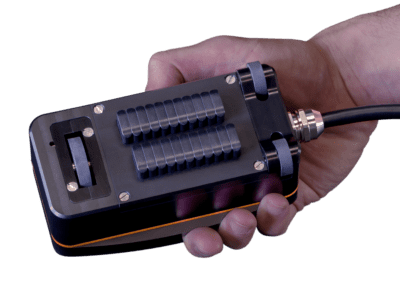 Ultrasonic IRIS technology is widely used as a prove-up technique to inspect ferrous, non-ferrous, and non-metallic tubing to detect and measure wall loss as a result of corrosion, erosion, baffle cuts, wear, cracking or pitting. Remote Field Testing is being successfully used to inspect ferromagnetic tubing such as carbon steel or ferritic stainless steel. 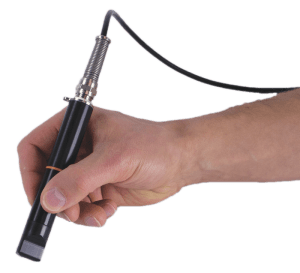 Near Field Testing is a rapid and inexpensive technology for inspecting fin-fan carbon-steel tubing and providing very simple signal analysis. 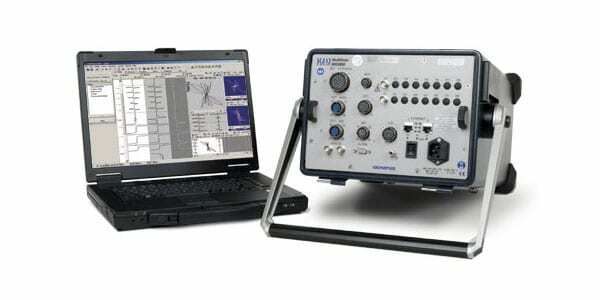 This can be used to detect internal carbon steel tuning defects such as corrosion, erosion, or pitting. MFL testing is a fast inspection technology that is effective in aluminum-finned carbon steel tubes and can detect sharp defects such as circumferential cracks, pitting and grooving.